I swear turtles are quickly becoming the new frogs. Before there were tons of frog themed household items, but turtles being just as lovable, are quickly catching up. 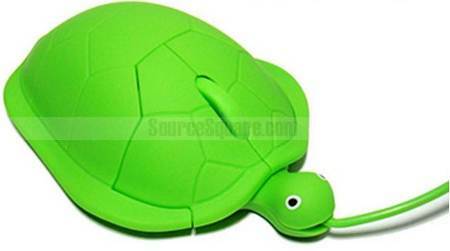 This Tortoise Turtle USB Mouse is one way to show your love for the little guys. For being a novelty mouse it still looks comfortable to use, which is definitely not always the case. The turtle has all the usual features, it’s USB powered, has a scroll button as well as the typical 2 buttons. It’s also, thankfully, an optical mouse. It says it’s comfortable for both right and left handed use, but being a left handed person I can’t say that I’ve ever had the urge to use the mouse with my left hand. It’s currently in stock and ready to be shipped, all you have to do is pay the $15.99 charge. You can find it through Source Square.